112 just can't get right and it appears they never will. 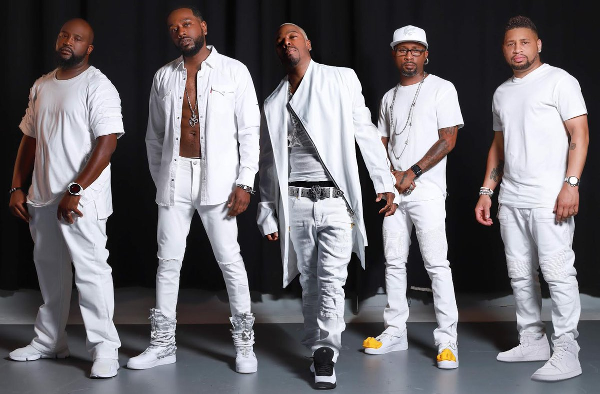 After reuniting for the Bad Boy Reunion tour, R&B group 112 is calling it quits again. Band members Slim and Mike sat down with TMZ to explain why the group is dunzo for good this time. They claim their bandmates Q and Daron have decided to no longer work with the band. And that's unfortunate because they have a solid fanbase. Apparently, Q and Daron split from the group due to a disagreement that they can't resolve regarding personnel. In the clip, Slim apologizes to the fans and he also reveals that he's being SUED. He didn't say by who, but it sounds like one of the guys are suing him. Damn. Slim also took to Instagram to further explain the group's unraveling. He posted a series of text messages he screenshot from their group chat that dates back to March 2018. In the text messages, Daron tells the Slim and Mike they can continue to use the 112 name and said that he and Q will "do the same." "IT'S TIME TO BE HONEST ABOUT 112," Slim worte in the Instagram caption. "You want answers? Why do you see only 2 people in performances? As you see in these texts especially the first two is very self-explanatory, my text is the last. I'm for the brand. I never left it, never cheated it... Part of being a leader is humbleness. Putting others before self for the brand. Just how I'm built... Ironically the same guys who broke the group up before are at it again and although it's easy to walk away and pick up solo situations or investments it would be unfair to at least give a hint in what's going on." He went on to talk about how mistrust and loyalty has contributed to their downfall and how their "brotherhood" was broken years ago. 112 formed in 1993 and released their self-titled album via Bad Boy Records. The fellas took a hiatus in 2007 and reunited in 2010. 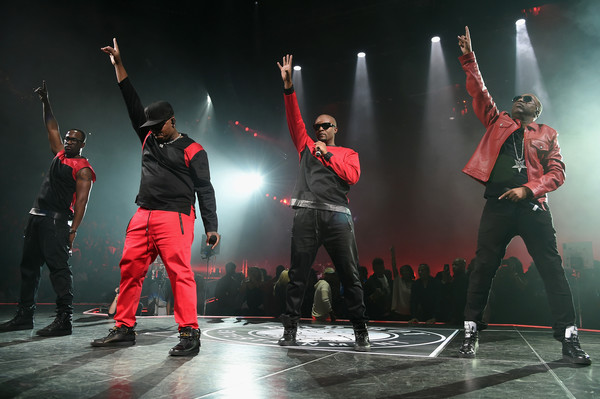 In October 2017, they released their sixth studio album titled Q, Mike, Slim, Daron. It was their first album since 2005. Dru Hill announced they were adding new members to the group. However, their rollout didn't go quite as planned. On the heels of Larry “Jazz” Anthony leaving the group, Dru Hill announced they were adding Jawann “Smoke” Peacock and Benjamin “Black” Bush of the 90’s R&B trio, Playa. With the announcement, they released a new promo pic with the new additions. Once the picture hit the Internet (via VIBE), the DRAGGING of Dru Hill commenced. Starting off on the wrong "foot" already..
At least they found the humor in it. No photoshop this time lol.